You might hear stories that TechCrunch favors venture-backed companies, or will only write about startups that have raised from certain VCs. Well, I can tell you that is totally untrue. In fact, it couldn’t be further from the truth. Speaking for myself, I really enjoy talking to successful bootstrapped companies. Raising money can be a validation, but it certainly isn’t a measure of success in itself… with more money comes increased responsibilities. That’s an unusual preamble, but it sets the scene for Skill-Lync, an India-based online education company that is currently part of the Y Combinator program in the U.S. 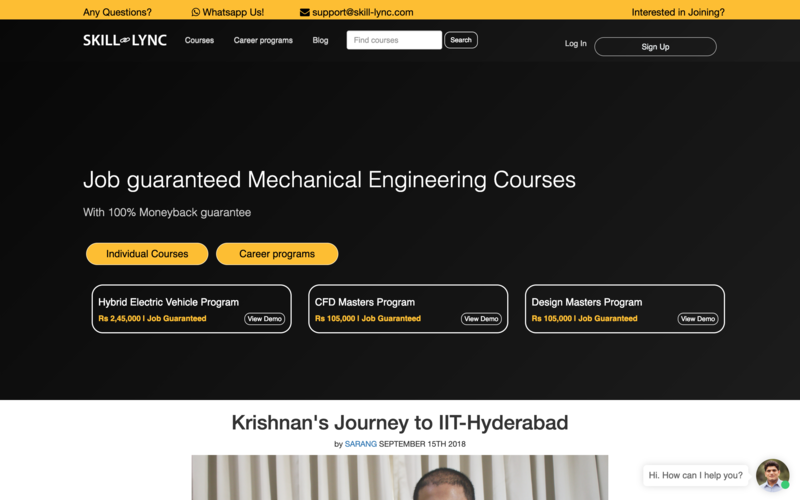 The business is bootstrapped and developing a fascinating service that helps India’s thousands of engineering graduates to turn their book smarts into employable skills and jobs. 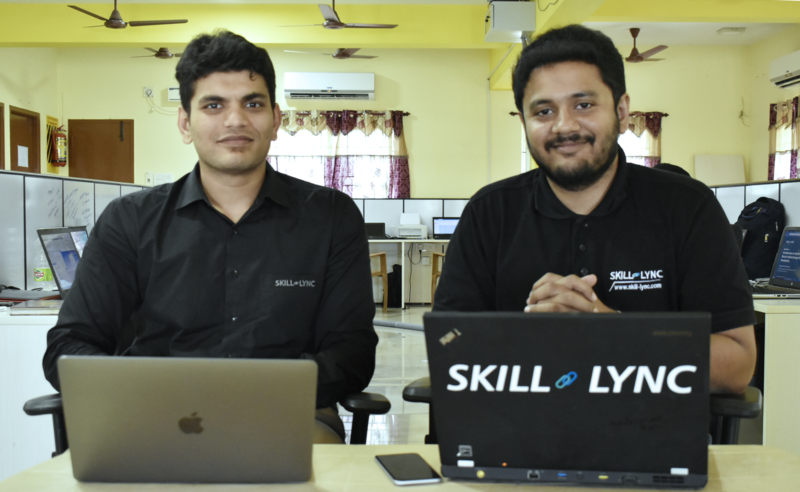 Skill-Lync started out as a YouTube channel to share engineering tips, but today it is an online training course for mechanical engineering candidates. It operates three different types of courses, ranging from one-off modules to full-time curriculums. With an estimated 1.5 million mechanic engineering graduates leaving India universities and colleges each year, competition for jobs is tough but equally, with many overseas markets seeking skilled talent, there are international opportunities but many students are unaware of how to pursue them. Skill-Lync seeks to match mechanical engineers with U.S-based Masters degree courses and/or employers directly. That’s done through an online learning course that uses video content developed alongside industry companies — the goal is to help instill employable skills and experience to students. Students watch videos independently but come together in groups on WhatsApp to work on assignments. Course teachers operate virtual ‘open hours’ on a Friday to allow interaction with students, questions and more. The regular courses cost $250 per unit and cover specific areas related to mechanic engineering and its application in the workplace. Last year, some 2,500 students took part in Skill-Lync courses and while the courses are demanding, with around a 22 percent completion rate, the results are impressive for those who cross the finishing line. So impressive, in fact, that Skill-Lync is launching a new and more comprehensive course that guarantees a job at the end of it or else participants get a full refund. The new course — which guarantees employment or a refund — lasts for eight months of 40 hours per week, with a part-time option of 20 hours per week over 15 months. It is priced at Rs. 245,000 — around $3,500 — and open to qualified candidates based in India. The first cohort will open in April, enrollment applications are open until March 15. Paneerselvam and Iyengar expect that the higher commitment requirement can boost their completion rate to 67%, that would be double what it is currently is for individual courses. The duo is exploring options to help students earn money during the course through crowd-sourced support. The company is also preparing to launch a similar program to U.S-based students in June, who currently account around 10 percent of monthly course enrollments. But rather than guaranteeing money back, that U.S-focused course will totally free upfront other than $700 to pay for software licenses for requisite mechanical engineering services. Instead, Skill-Lync will make its money from graduates earning. Going forward, the ambitious company wants to apply its playbook to other industries beyond mechanical engineering. That’ll mean hiring experts in those disciplines and continuing to work with industry leaders to develop course content. It’s a move that is also likely to boost female participation — 98 percent of current students are male — which is something that the Skill-Lync founders are keen to make progress on. More, widely, they believe that they could replace college-based training for skilled engineering in the future. The more immediate goal is to scale the new courses. Y Combinator is well known for its impressive network that connects promising startups to VCs. Skill-Lync is aiming to take advantage of that to raise something in the region of $5 million to develop its service into this wider vision. On the positive side, Skill-Lync has picked a good time to go after funding with a number of companies bringing digital learning to the fore. Investors have never been more keen on exploring the potential to democratize knowledge via the internet in India. Byju’s recently raised $550 million to globalize its courses, which are aimed at grades 4-12, and spent $120 million to acquire Osmo, a startup that develops hardware to meld online and offline learning for kids. While U.S.-India company Emeritus was the beneficiary of a $40 million Series C and Topper raised $35 million in December.